Scratch-A-Track Monitor Recording Pads - Gilson Co. The HM-643 Recording Pad is used with an HM-642 Scratch-A-Track Motion Monitor to create a continuous graphic record of relative movement of adjacent surfaces in concrete masonry pavements and structures. 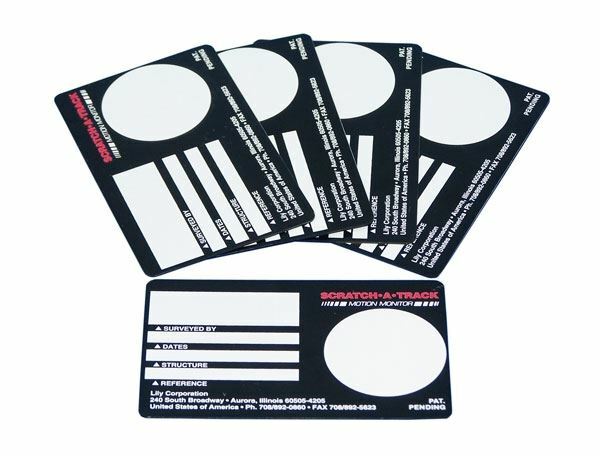 The plastic single-use Recording Pad bonds to the surface with super-glue or epoxy (not included) and has space to record data such as date, location, and other relevant information while making a permanent record of movement.